This post has gone up a little later than planned due to life taking over recently, but here it is nonetheless! 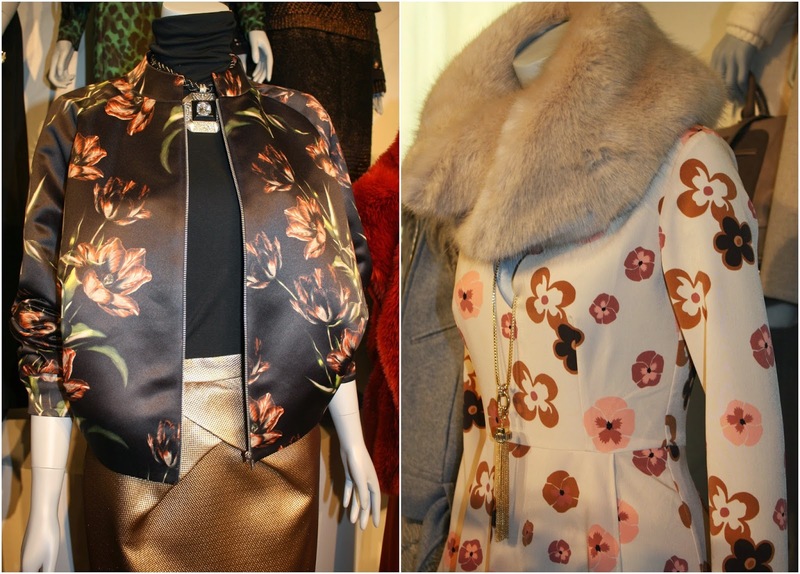 A couple of weeks ago I was invited to the exclusive A/W 14 press day for Marks & Spencer, which took place at the beautiful venue, One Marylebone. 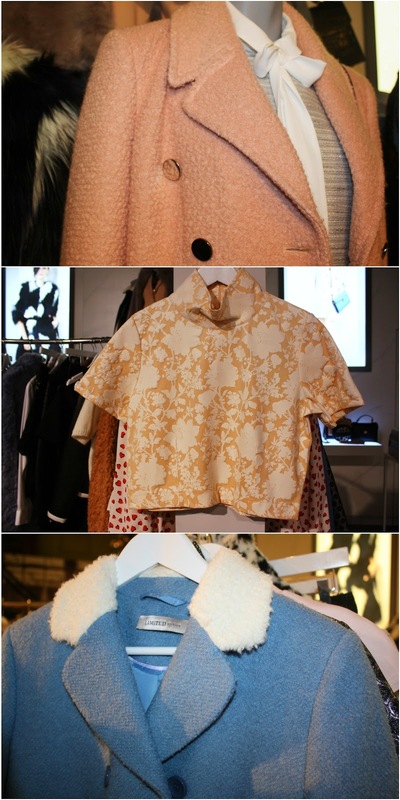 I had a brilliant afternoon, sipping prosecco and perusing the stunning womenswear collection for the upcoming season. 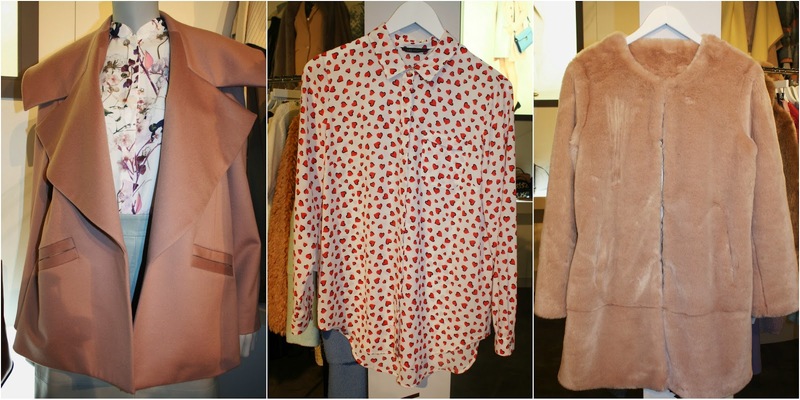 The pieces were separated into five different trends: Simple Luxe, Down Town, Gentle Woman, Modernist and The Arts. 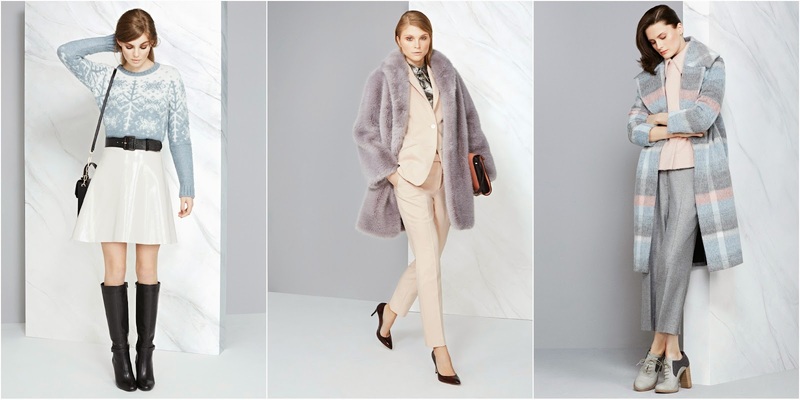 My Magpie eye was immediately drawn to soft, powdery pastels & glitzy metallics shown in abundance throughout Down Town, and the Gentle Woman's luxurious silks, fur and cashmere, making these two trends my favourites. I also really loved the pieces in The Arts, as this collection carried on the luxurious feel but with richer, jewel tones and heavy embellishment which really epitomized opulent Winter dressing. I was so impressed with the whole collection - not only were they beautiful and unique items, but every piece was of incredible quality and looked and felt like designer creations. I have to admit, I have only just recently started looking in M&S for a new found love of investment dressing, for maybe the last year or so, but it just keeps getting better and better each season, with contemporary, classic and stylish pieces that still appeal to the loyal M&S customer, but also attract a new demographic, who may be more fashion forward and wanting to keep up with the latest trends. 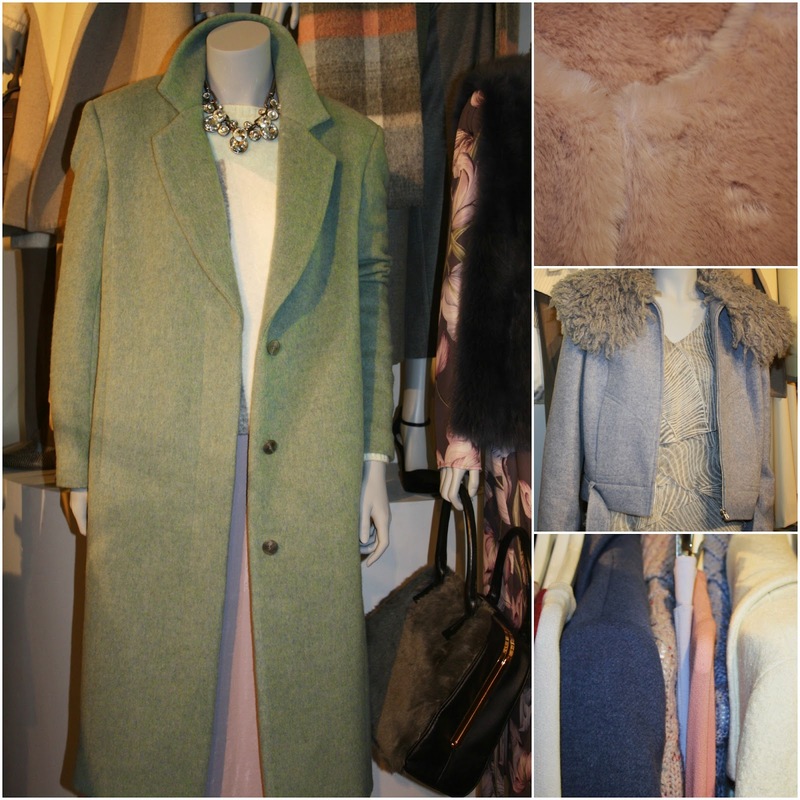 My favourite items were coloured faux fur coats, the pastel tartan wool coat, the heart printed blouse, leather swing coat with fur collar and the cream pvc A-line skirt. I honestly cannot wait for these lines to drop in stores in a few months time! I didn't take as many photos as I usually do at press days this time, as I was too busy chatting away & sipping prosecco with the lovely Isa & Megan, who kindly showed me around and talked me through each of the trends. So here are a few of the press images which show a few of my favourite pieces more clearly. Blazer: George @ ASDA, cami: River Island, jeans: River Island, necklace: Miss Selfridge, heels: Primark. The event also showed the new range of lingerie including the A/W range of Rosie for Autograph, and an amazingly cute and quirky kidswear range, which I shall do a separate post on following this. A big Thank you to the team at M&S for putting on such a great event, and also to Megan & Isa for being lovely, friendly hostesses!